L’Italiana Aromi specializes in the production of a large range of flavourings, extracts and distillates for the food and pharmaceutical industries. Since 1890, it has been combining its expertise and Italian taste to a highly international approach thanks to its close cooperation with a number of leading companies in the food sector; to these companies it supplies flavourings, natural flavourings, extracts, infusions, distillates, essential oils and fruit compounds. A “must” of L’Italiana Aromi’s policy is product quality and continuous innovation. As a matter of fact, the production has been diversified for a few years now. 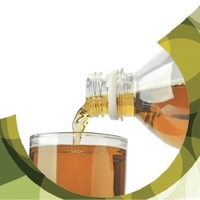 As well as the solid beverage, confectionery, bakery and dairy product sectors, the new savoury and nutraceutical segments have now been added. With its 13,000 m2 factory areas and its advanced Research, Development and Application, Quality Control laboratories in Europe, it can meet the needs of an ever-evolving market. Bringing innovation through IT upgrades has proved to be a successful strategic choice, too. Over the past decade the company IT system has been designed and constantly upgraded in order to maintain very high safety, quality and reliability standards. The departments working procedures have been streamlined throughout the company and have been integrated into the company’s intranet. As a result, the company information and knowledge can be easily and safely accessed and updated according to the role and needs of each division. Thanks to the company alignment of quality control, production, warehouse, administration and marketing processes through IT maximization, L’Italiana Aromi guarantees its customers standards of excellence in efficiency, quality and privacy.